This masterpiece of satanic black metal fury should need no introduction. 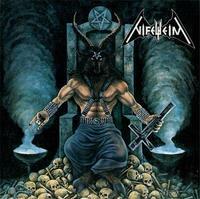 Drawing their influence from classic and primitive black metal pioneers such as SODOM, BATHORY, and HELLHAMMER, NIFELHEIM stood in contrast to the second wave of black metal primarily done in the Norwegian style that was flourishing at the time NIFELHEIM released its self-titled debut LP in 1995. Essential reissue!